donation Archives - All Chucked Up! 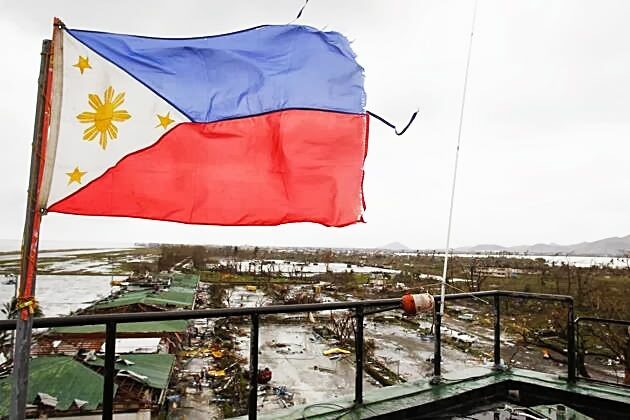 It’s been a couple of weeks since Typhoon Yolanda has wreaked havoc and destruction in the Visayas region. Relief from fellow Filipinos as well as countless nations from all over the world are continuously coming in and are being relentlessly distributed. And as much as we love coming together for a common cause, it is equally satisfying when we know where our donations are going to exactly. It’s just but normal for people who give out of love to want to know that their generosity and forms of kindness get to their intended recipients untouched and in good time. Transparency is key. Especially during times like these when funds are just pouring in and countless local agencies doing relief work leave a lot to be desired. 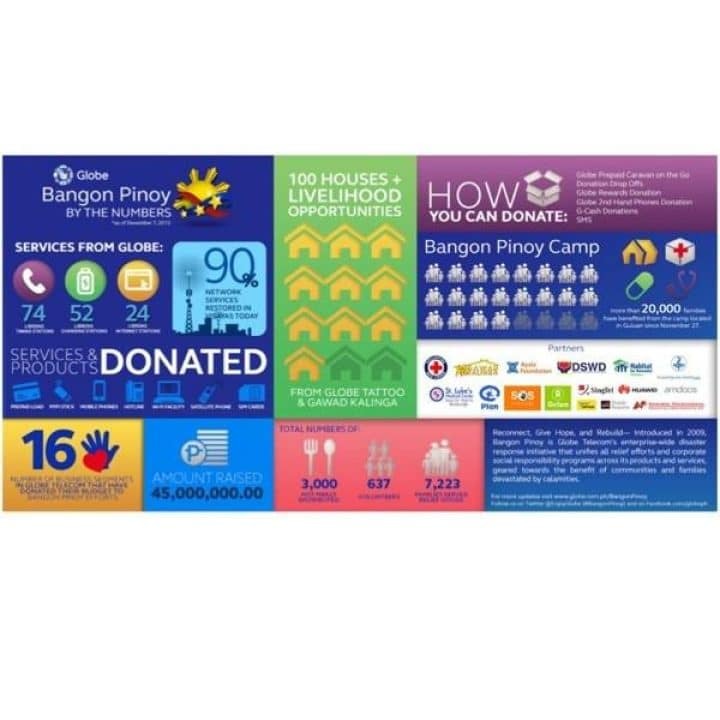 If you are one of the numerous Globe subscribers who have donated and supported through their #BangonPinoy initiative, you will be pleased to know that their relief efforts to communities hit by Typhoon Yolanda have been continuous. 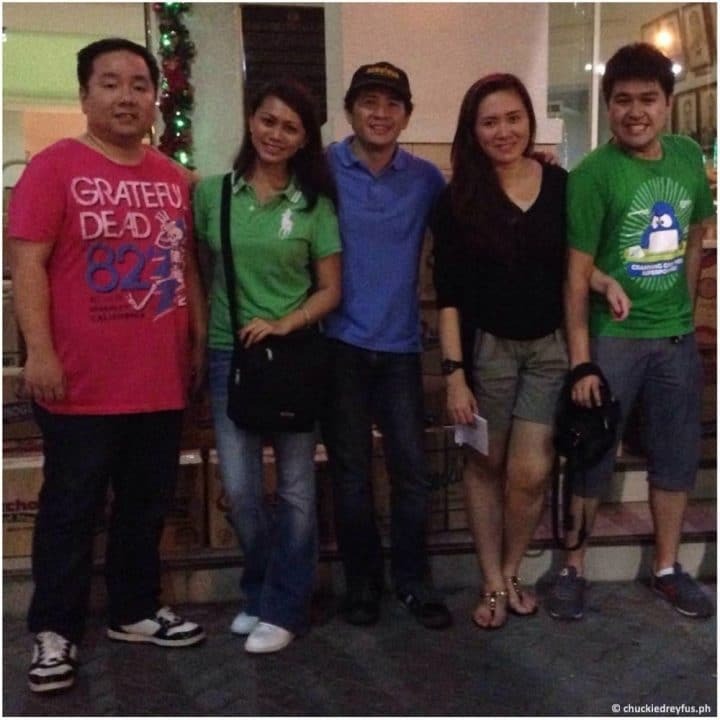 For those who don’t know, Bangon Pinoy was introduced back in 2009 when Ondoy hit the Philippines. How can we NOT remember Ondoy, right? 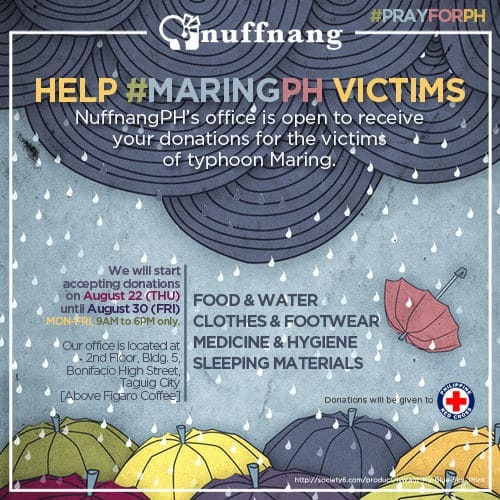 Guys, Nuffnang Philippines is accepting donations for victims of typhoon Maring from August 22 (Thursday) until August 30 (Friday) – 9am-6pm. You can contribute food, water, clothes, footwear, medicine, hygiene kits, and sleeping kits to those who are in need. 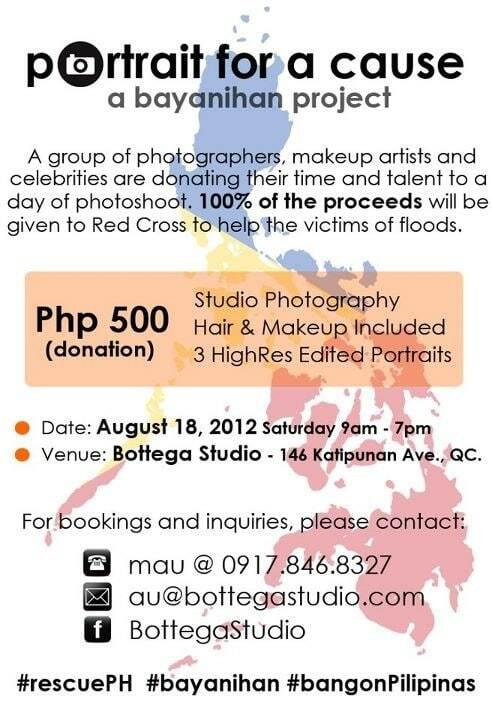 Donations will be given to the Philippine Red Cross. 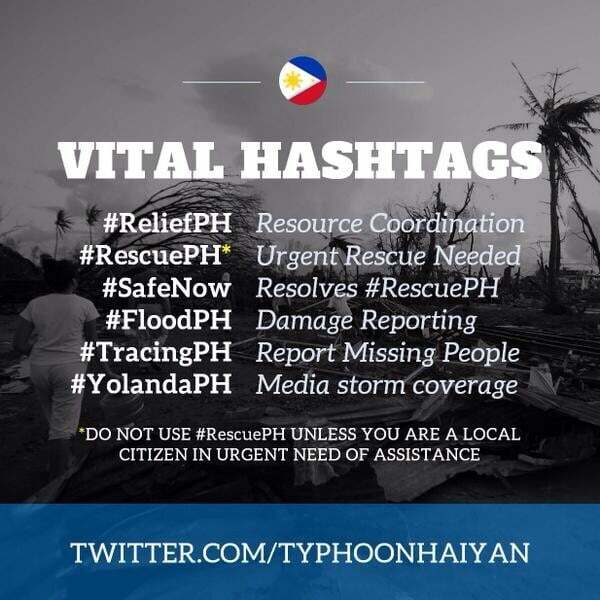 Let us once again prove to the world that the Filipino spirit is waterproof! Behold Bohol! Enjoy promo fares and more as AirAsia becomes Bohol’s official airline partner once again!